A native of Richland Center, Wis., Dennis Schoville joined the U.S. Army after graduating from the University of Wisconsin, Madison, and trained as a helicopter pilot. While serving in Vietnam, he was awarded two Silver Stars, the Distinguished Flying Cross, the Bronze Star, and three Purple Hearts, along with several other Air Medals and service awards. 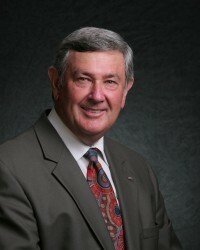 Following his medical retirement from active duty at the rank of captain, Schoville earned a law degree from the Illinois Institute of Technology in 1973, and a master’s degree in law at Northwestern University in 1974. For the next 23 years, Schoville was an associate and then partner at San Diego’s biggest law firm, Gray, Cary, Ames & Frye, and later with Gray Cary Ware & Freidenrich. He established the firm of Schoville & Arnell, LLP, in 1997 which obtained record-setting verdicts. His primary areas of practice currently focus on personal injury, product liability, and insurance law. Schoville is a Fellow of the American College of Trial Lawyers and a Past President of the American Board of Trial Advocates, San Diego Chapter. Schoville is a Life Member of the Vietnam Helicopter Pilot’s Association, and is past national general counsel, secretary and board member of the Distinguished Flying Cross Society. He is a past director of the San Diego Veterans’ Museum and Memorial Center where he chaired the Combat/Military Nurse Support Project. Schoville currently serves on the Board of Directors of Alzheimers San Diego.